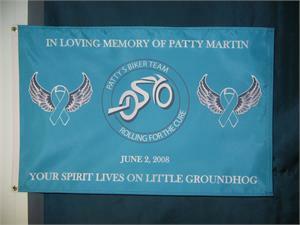 Submit your layout for a quote. 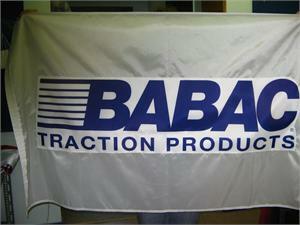 Vector based files are best for production. 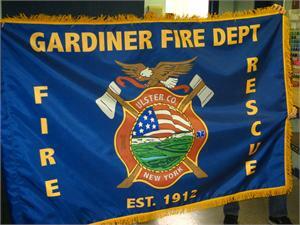 If you have questions or concerns, please call or email us. 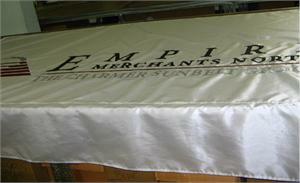 Custom flags can be made single-side, single-reverse or double-side in construction in various sizes depending on the fabric and whether dye-printed or sewn. 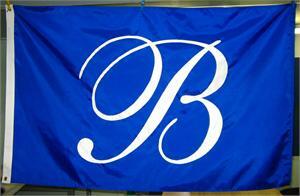 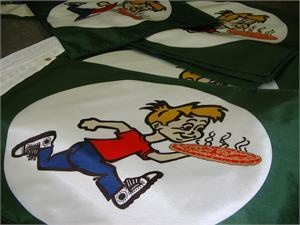 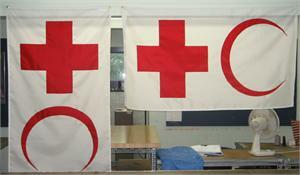 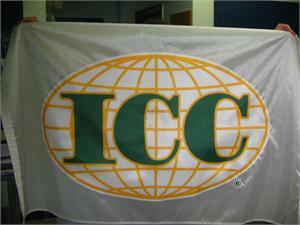 Most appliqued flags are made with nylon fabric that is colorfast when supplied by the fabric mill. 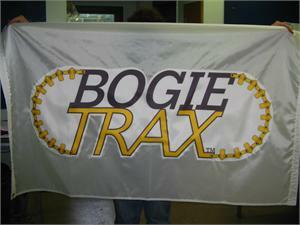 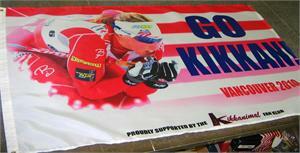 Large 6'x10' polyster flag dye-printed. 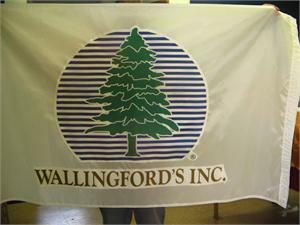 Dye-printed outdoor flag to be flown way up in Alaska. 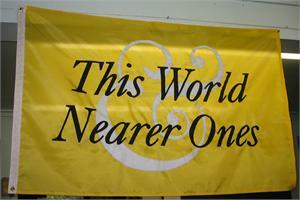 Small 14" x20" double side flag flown on a motorcycle mounted pole. 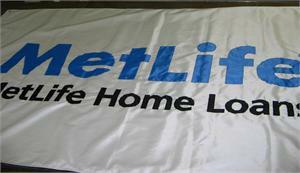 Metlife nylon sewn and appliqued banner made single-side in construction. 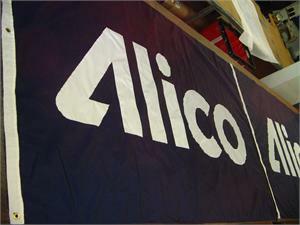 Alico flags for outdoor use made of nylon flag fabric. 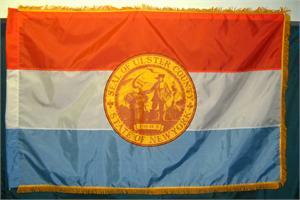 Ulster Country flag made with pole hem and fringe for indoor office use or pararde use. 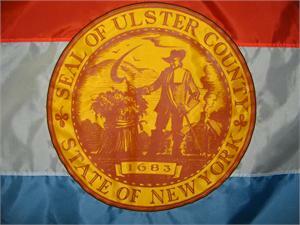 Close-up of the seal of the Ulster County New York outdoor flag. 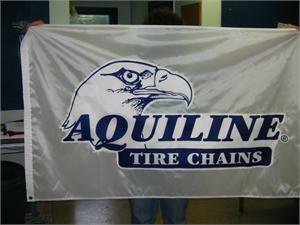 The seal is dye-printed using the sublimation method mounted on a three stripe nylon fabric flag. 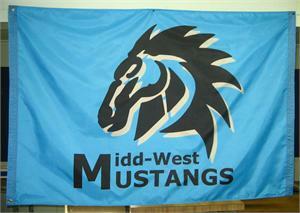 Dye-printed double side flag for the Midd-West Mustangs. 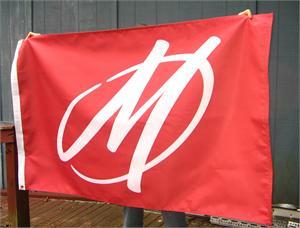 One of a quantity run of "M" logo flags. 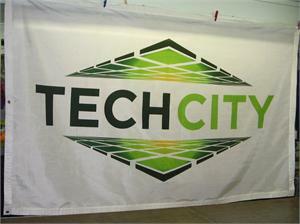 Double-side dye-printed parade flag made using the dye-sublimation system on polyester fabric. . 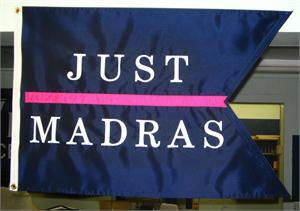 Double side outdoor dyed flag. 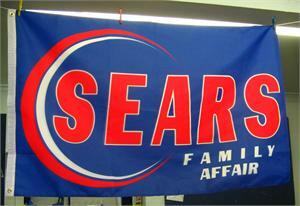 Dye-printed logo mounted on nylon base background. 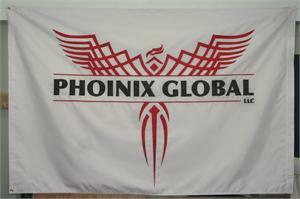 Dye-printed logo image printed and mounted on single ply nylon background to reduce weight and enable good flyability. 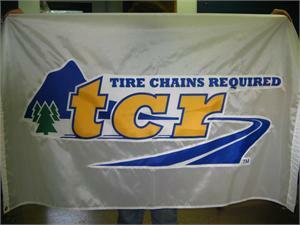 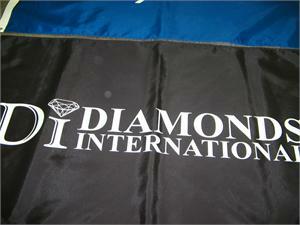 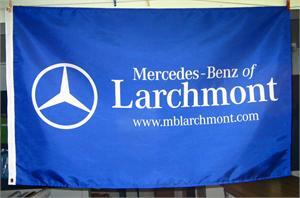 Dye-printed logo on polyster fabric flag for outdoor use. 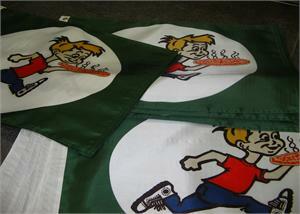 Nylon sewn and appliqued flag. 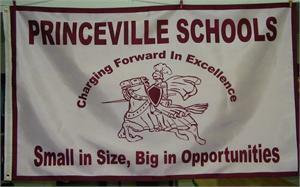 Sewn and appliqued table banner, podium banner and parade flag for the same school.